Darren is a good friend of the Bribery Act. Last year Darren invited us to speak to compliance officers in Guernsey about the impact of the Bribery Act for Guernsey businesses. We did and the Vitou family spent a sunny weekend on Guernsey to boot (obvs. at our own cost…). We asked Darren to reciprocate (we are keen to bring readers news on anti-corruption from other jurisdictions…hint hint)! In this piece Darren looks at the current state of play in Guernsey. This topic is currently at the top of the agenda for global regulators, not least Guernsey who’s Anti-Bribery and Corruption Committee has just hosted the ‘The Puppet Masters Anti-Corruption Conference’ where both international and domestic speakers addressed an audience of over 450 delegates from local government and industry. Furthermore, in June 2012 the Guernsey Financial Services Commission (GFSC) issued a consultation on changes to the Anti-Money Laundering (AML) & Combating the Financing of Terrorism (CFT) Regulations and Handbooks. Included in the proposals is the introduction of a chapter in the GFSC Handbooks on bribery and corruption. The board and senior management must take responsibility for identifying the risks by undertaking a specific bribery and corruption risk assessment and putting in place systems in order to manage those risks. The GFSC have given examples of risk factors, including: the products and services on offer, the purpose of the structures under management; public sector financing; high value projects, geographical origin of their customers and funds, third party payments and political exposure, none of which should be new to a Guernsey FSB. The implementation of adequate policies, procedures and controls taking into account not only local legislation but also the extra-territorial effect of foreign legislation. In order to do this, financial services businesses must keep up-to-date with, and keep abreast of, bribery and corruption issues, including the applicable legislation, no mean feat for an already overstretched compliance department. On-going monitoring of the client and business relationships is also considered, for example, looking for unusual transactions or activity that are outside the normal patterns for the entity under review. It is vital to ensure that systems are in place to identify political exposure both at client take-on and on an on-going basis. Ensuring that staff receive training to keep them informed of internal bribery and corruption policies, procedures and controls and provide them with written guidance in respect of specific risks. Due to the complexity of the relevant legislation and specialist nature of this training, it is likely this will have to be delivered separately from the current AML training that FSBs are all too familiar with. Finally, the Board should ensure that appropriate and effective policies, procedures and controls are in place to require that records are prepared and retained in a readily retrievable form to enable disclosure to the authorities as and when appropriate and necessary. I will be exploring some of the records that must be maintained when I review the relevant legislation over the next few weeks. This is a subject that is going to impact all Guernsey regulated and non-regulated financial services businesses in the coming weeks and hopefully this series of blog posts, and contributions from readers using the comments section, will help identify key issues that need to be addressed. 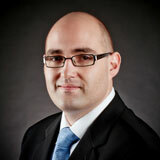 Darren is the founder and Managing Director of Corporate Risk Solutions Limited. Darren holds various positions within the finance industry and works with a variety of licensed businesses including captive insurance managers, fund administrators and fiduciaries.